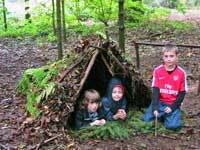 What a better way than for your children to spend time out in the woods and fresh air learning new skills and working as a team to build a Survival Camp- their very own Mission Survival! 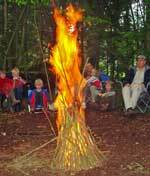 They will have an exciting time building shelters and camp fires and then cook their own Bush-tucker on their own roaring fire. This Mini Survival Adventure for girls and boys aged between 5 and 16 and their adult lasts for three hours and they will be shown how nature provides all they need. 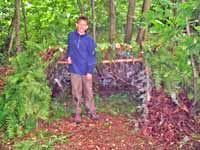 Creating fun experiences for children out in nature! Course timing 10am to 1pm. Please arrive 10 minutes prior to course start time. We are an Approved Learning Destination for Kent Childrens University. Bring your child's passport with you to receive 3 learning credits. If interested, contact KCU if your child hasn't joined yet. Payments are through PayPal, unfortunately you have to order your Adult & Child places separately, once you have placed the first click on 'Continue Shopping', you will return here & can then place your next order. 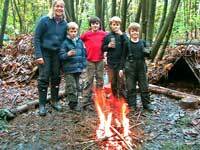 Mini Survival Adventure £18 Per Child. There are 20 reviews for Childrens Mini Survival Adventure.